I’m home again at Glen Villa, my garden in Quebec, after touring gardens in England. In ten days, the small group I was hosting visited 17 gardens, each special in its own way. 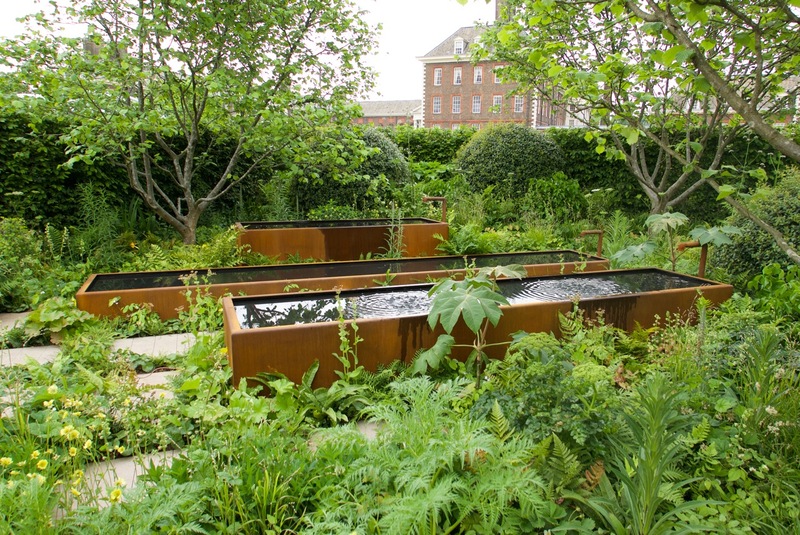 Add in the Chelsea Flower Show and pre-tour visits to three other gardens and you can imagine the result: more photos and memories than a dozen blog posts can handle. The Chelsea Flower Show was its normal madhouse of flowers, garden-related goods and people — even on a members only day, it is crowded. Like many others, I found this year’s show gardens a disappointment. Unlike many, I admired the garden chosen as Best in Show, a quarry garden designed by James Basson that highlighted Malta’s horticulturally rich yet threatened environment. My favourite gardens, though, were the smaller, fresher ones. This garden by James Alexander-Sinclair showed the relationship between sound and motion. Water gurgled and spouted in response to sound waves. Very ingenious. Perhaps the strongest overall impression of the garden tour itself was the generosity shown by so many of the garden owners. Our group of Canadian and American women was welcomed as if we were members of the family. We were treated to personal stories and gardening anecdotes as well as to tea and cakes — all delicious in their way. And instructive. Spending time with Penelope Hobhouse at her newest garden, the Dairy Barn, provided a lesson in how many plants can be crammed successfully into a tiny space. 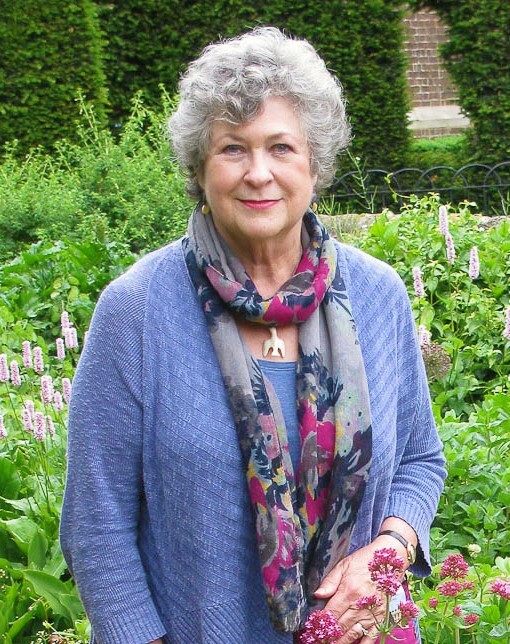 Being asked by this expert for advice on how to treat an ailing plant was a lesson in humility: how could I possibly tell her anything she didn’t already know? Yet she listened, considered and even agreed. This photo doesn’t do justice to the rich plantings at the Dairy Barn. And while I could have used a photo of Penelope Hobhouse herself, this photo of her garden, mediocre as it is, shows her generosity of spirit. Alasdair Forbes at Plaz Metaxu was warm hospitality mixed with a degree of erudition that would be intimidating in a less open-hearted man. Over some 25 years he has created a landscape to capture the mind and the spirit. A landscape garden superficially in the 18th century tradition, this ‘place between,’ as the name translates, presented much more than beautiful views. It is a garden after my own spirit, a garden of significance, and one I could happily live in. At the same time its underpinnings are so complex that I would need multiple visits and hours of reading and research even to begin to understand what I saw. A glimpse through an open door onto a mysterious landscape beyond: this was Plaz Metaxu. Visiting Wildside and getting a glimpse into the extraordinary passion that drives owner Keith Wiley offered a balance to what I sometimes see as my own over the top obsessions. However much I do, I can’t hold a candle to this man who has, literally, reshaped his garden world. Nor can I ever match his knowledge of plants or provide the range of habitats that they need. On a hot sunny day, the colours in the garden were even more vibrant than they appear here. Keith’s passion for his work coloured every word. John and Jennie Makepeace at their village garden Farrs not only led our group through the garden, they led us through their working lives. John is a distinguished furniture designer whose work takes furniture to a level rarely seen. Sitting at the dining room table in one of his chairs combined art and comfort; moving from one beautifully designed chair to the next, and the next, and the next, demonstrated how a change in the tiniest detail can alter the experience and the pleasure — a lesson that applies equally well to gardens. 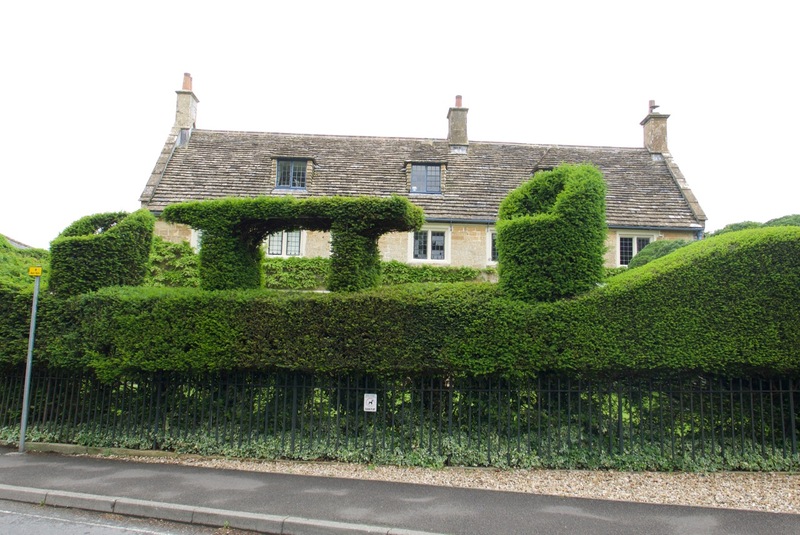 What could be more appropriate for a furniture maker than topiary of a table and chair? John and Jennie Makepeace are only the second family to live in the gracious late 18th century house seen behind the hedge. At Iford Manor, our hosts were John Hignett, his son and daughter-in-law. This visit was my third to Iford Manor, a garden I like very much, and it was made more enjoyable by John’s warmth and knowledge. Hearing my sister sing an impromptu aria in the cloister where opera is performed was (literally and metaphorically) a high note. John Hignett shows some of Harold Peto’s original plant labels discovered in the garden during restoration work. At Spilsbury Farm, Tania and Jamie Compton showed how informality combined with structure can make a country garden feel loved and lived in. These two know plants, and it shows. The plants looked as much at home as I felt. Spilsbury Farm was another garden where I could live quite comfortably. 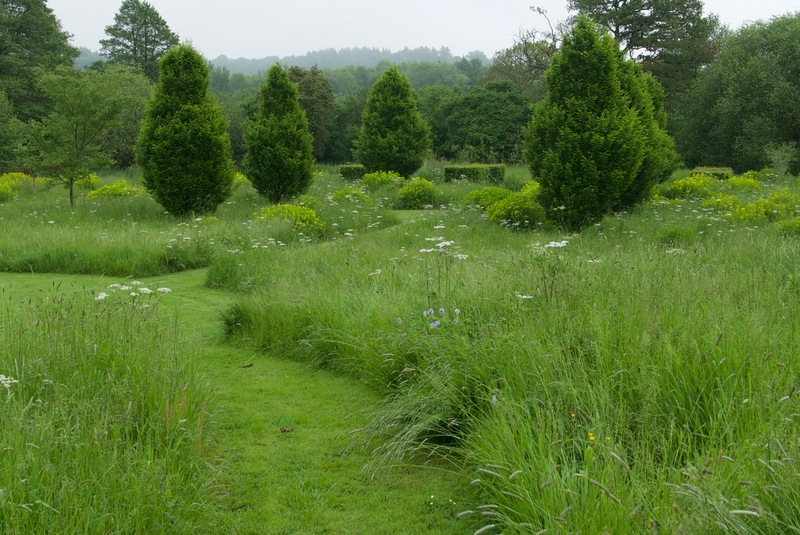 The mown paths shaped the space without being rigidly symmetrical. I liked that. At the more elaborate and intensively gardened estate Malverleys, Head of Horticulture Mat Reese shared his plant and design knowledge so generously that I felt I’d completed a course in design in a few short hours. One of many lush plantings in the Jekyll style, updated for the 21st century. 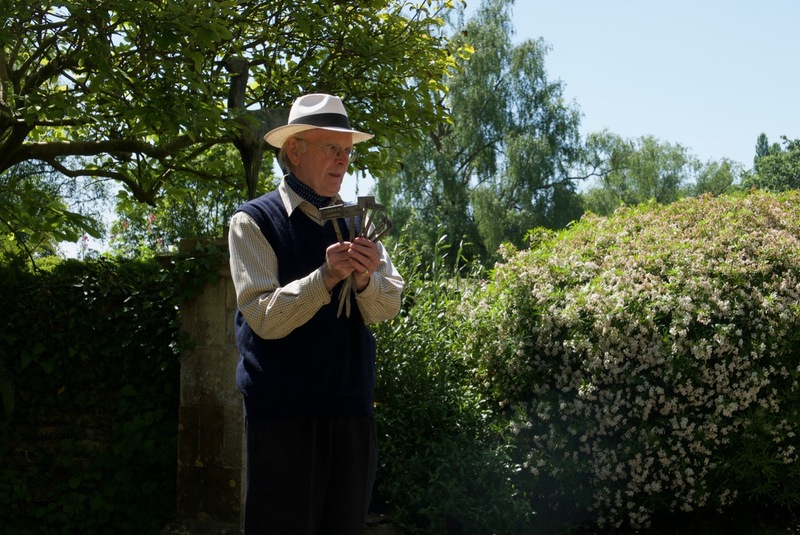 Philip White, founder and chief executive of the Hestercombe Gardens Trust, regaled our group over lunch with stories of the restoration of this important garden. Not all people can speak so fluently, informatively and entertainingly. Not all can hold the attention of a group of women as they pick away at their Sunday roast. But Philip White did this easily. 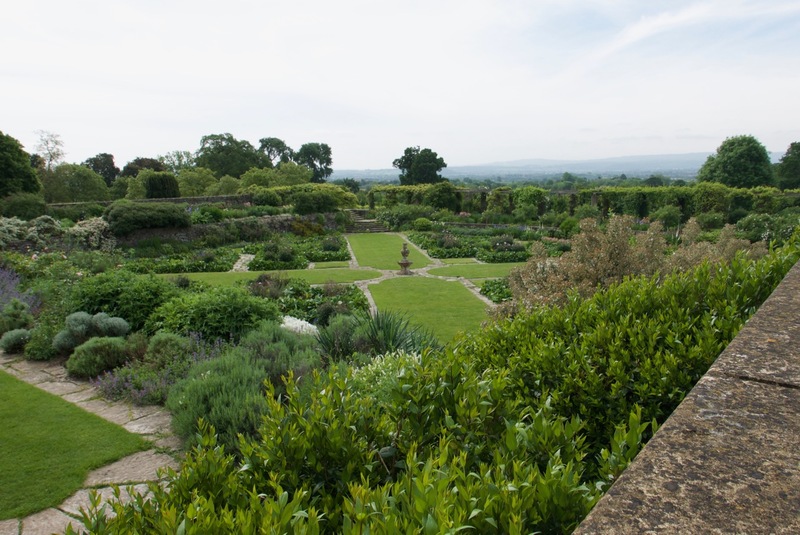 Hestercombe’s garden covers three distinct periods of garden history — an 18th century landscape garden, a Victorian shrubbery and one of the first — and finest — gardens designed by Gertrude Jekyll and Edwin Lutyens. 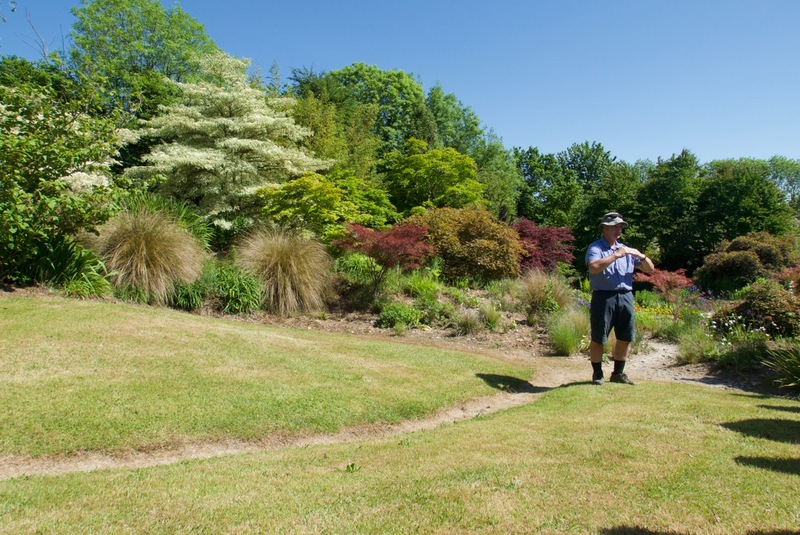 Mr White has been responsible for bringing this garden to its present high level, and with the discovery of an Elizabethan water garden, the sweep of history will be even wider. We left not only well-fed but also shored up by his enthusiasm for a garden he so clearly loves. 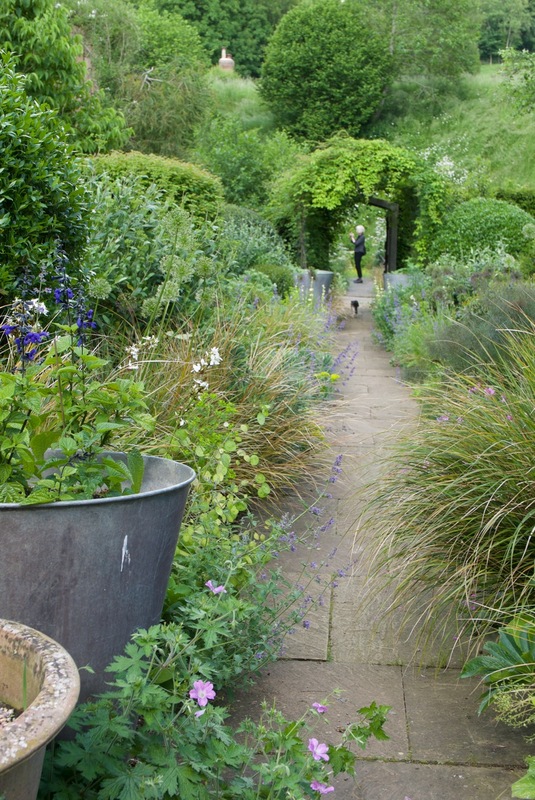 Arriving at Hestercombe as it opened gave me the chance to sit alone in the Great Plat, the section of the garden designed by Jekyll and Lutyens. Gardens are more than arrangements of plants. Even the most beautiful gardens can feel like lifeless, like well-dressed stage sets. But not when they are full to bursting with the personality of the garden’s creator. 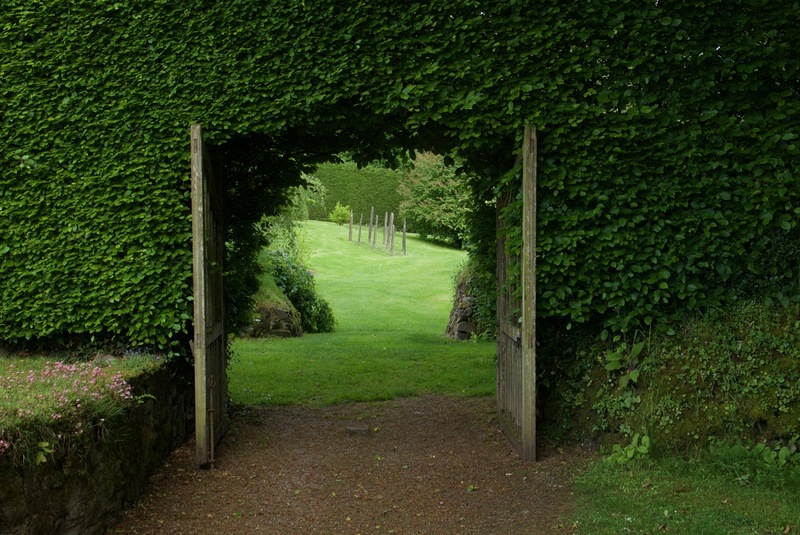 My previous blog post was about Veddw, the garden of Anne Wareham and Charles Hawes. I was lucky enough to spend a full 24 hours there, and my welcome could not have been warmer. 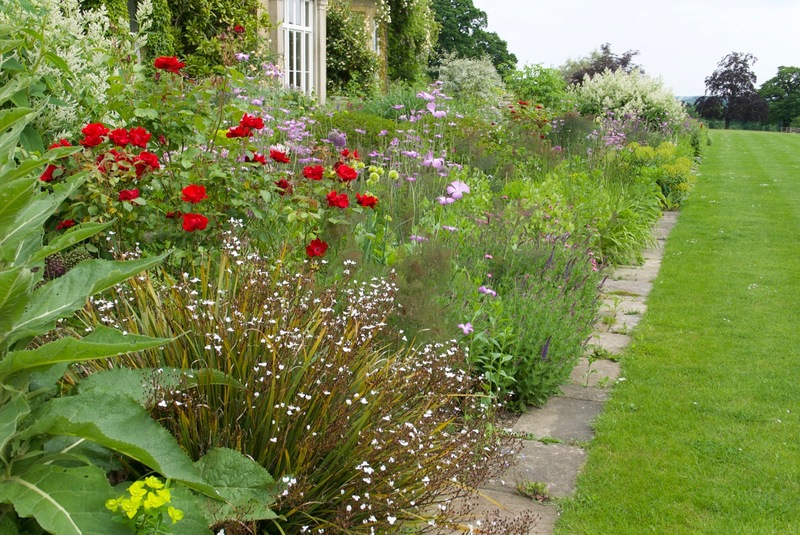 Few gardens are more personal, or show more clearly what matters to the couple who’ve created it. I’ve been hosting garden tours for the last five years and this tour was one of the best. It helped that we were a congenial group of travellers, visiting great gardens at a good time of year. But the best part was the personality, warmth and generosity of the gardeners themselves.